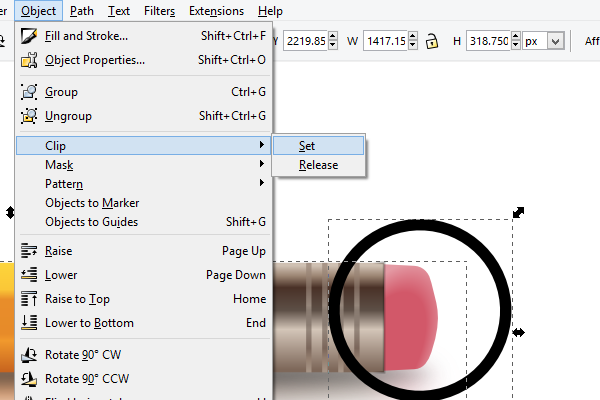 You may have found yourself at one point or another trying to achieve a magnifying effect in Inkscape. Whether it was a water droplet, a camera lens, or even a magnifying glass, it may have seemed pretty tricky. Let’s go over a quick and easy way to do this! 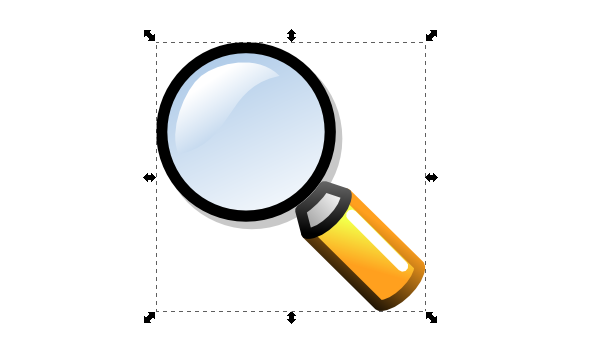 First, we need an object that will emulate the magnifying effect. 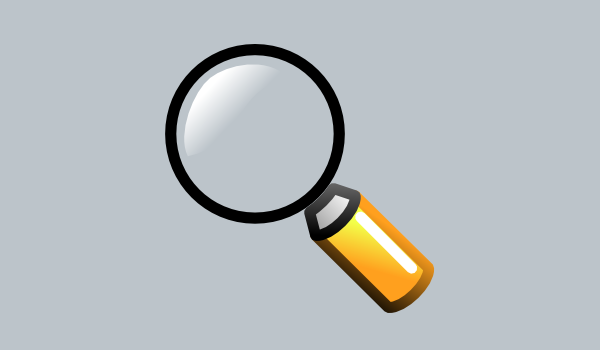 I have chosen the actual Zoom tool icon from Inkscape, which is literally a magnifying glass. I wanted to touch it up a bit, so I entered the group and removed the shadow, removed the lens fill, and adjusted the glare gradient a bit. Now we need to add our subject in which to receive the magnifying effect. I’ve chosen the eraser of a pencil, which may look familiar. Next, copy and paste everything and move it to the side. On this new one, all we need now is the lens circle of the magnifying glass, so go ahead and edit that accordingly. 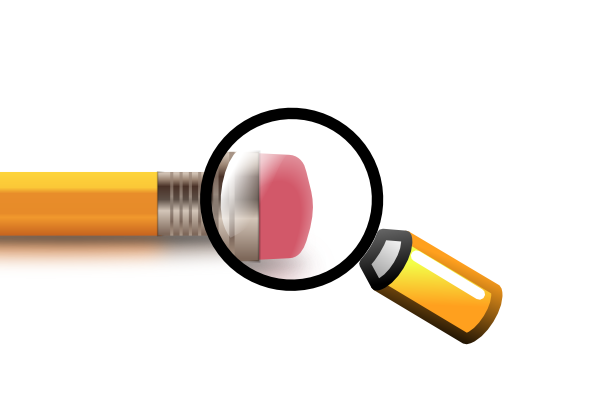 To achieve the magnifying effect, go ahead and change the rotation point of the pencil (click on the object twice – not double-click). 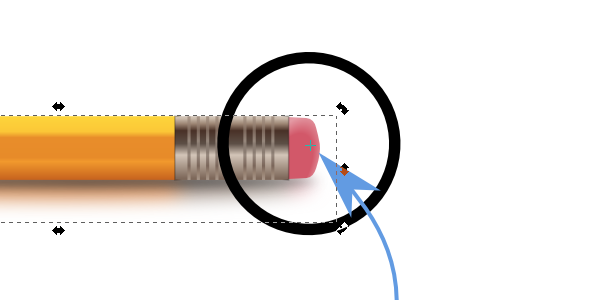 This will allow you to move the little cross-hair to the center of the circle. Now, you can stretch the pencil by holding Control+Shift and dragging the transform handles. Everything should have stayed in place. 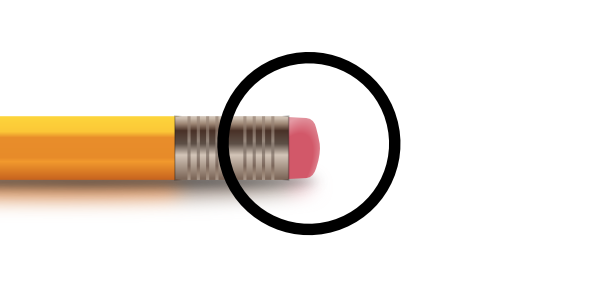 When you finish stretching your subject to the desired amount of magnification, go ahead and select the pencil and the circle. We can now head up to Object > Clip > Set to make the magic happen. You should have ended up with something like this. Finally, just put that clipped shape into place and we have our magnifying effect! See? I told you it was easy! 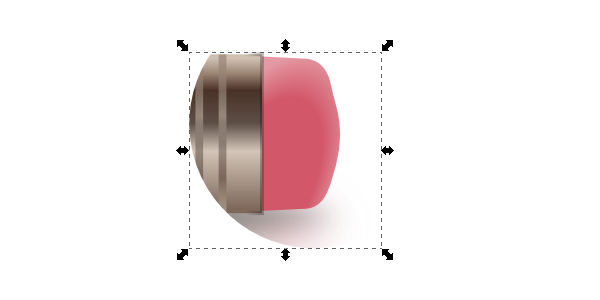 Achieving a magnifying effect in Inkscape only involves some clever transforming along with a little clipping. This is a fun one to mess around with, so go ahead and try it on more advanced designs. Thanks for reading!